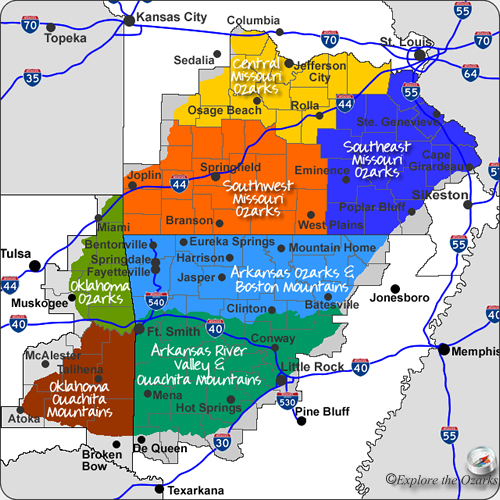 All across the country, motorcyclists flock to the Ozarks and Ouachita Mountains for the unmatched scenery and roads available here. From long, peaceful stretches of two-lane highway, to hilly, curvy, mountainous roads, your riding preference can be found! Many small towns and local businesses welcome bikers, making your ride that much more enjoyable! Currently, I have not been able to gather enough information yet on the numerous motorcycle routes found within the Ozarks and Ouachitas. As more information on them becomes available, I will list them here.